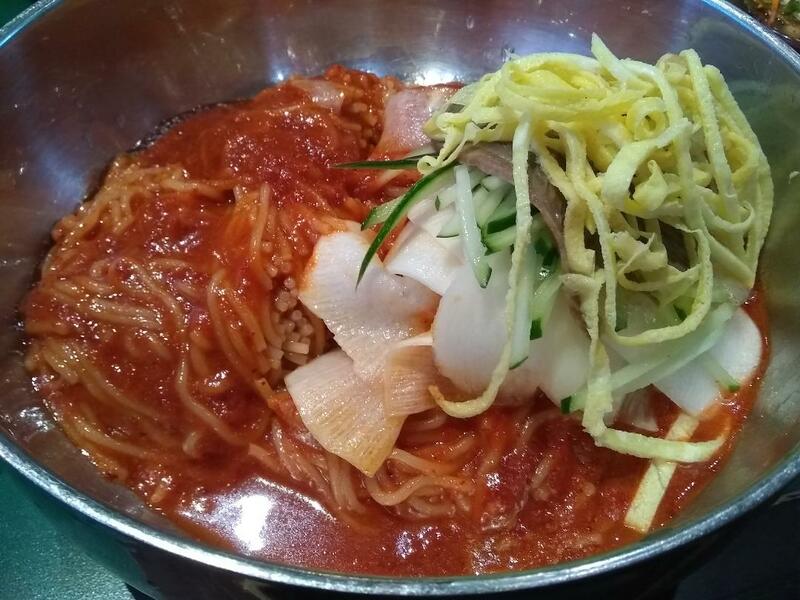 I was yearning for a bowl of Korean cold noodle, after much searching and looking through hundreds of photos of noodles on the net, three places stood out. I proceeded to try two out of the three, and concluded that the Bibim Milmyeon at Hangari Bajirik Kalgooksoo is perhaps one of the most addictive and satisfying cold noodle I have tried. After tasting the Bibim Milmyeon a few weeks ago, I could not get it out of my head. I have been thinking about how good it was almost daily, and I would play back my memory of eating the noodle over and over again. I told myself that I needed to go back soon. I could not wait any longer. After finishing an errand with my son, I more or less told him that we are heading Koreatown to have some noodle. Quite surprisingly, he did not object (he usually does not like to go too far for food). The first time I was there, I waited for quite a while even at 2pm on a Sunday. This time, around 4:30 in the afternoon, there was no wait. Hungry from not having breakfast nor lunch for the both of us, I ordered the cold noodle for myself and the Chicken Kalguksu for my son. 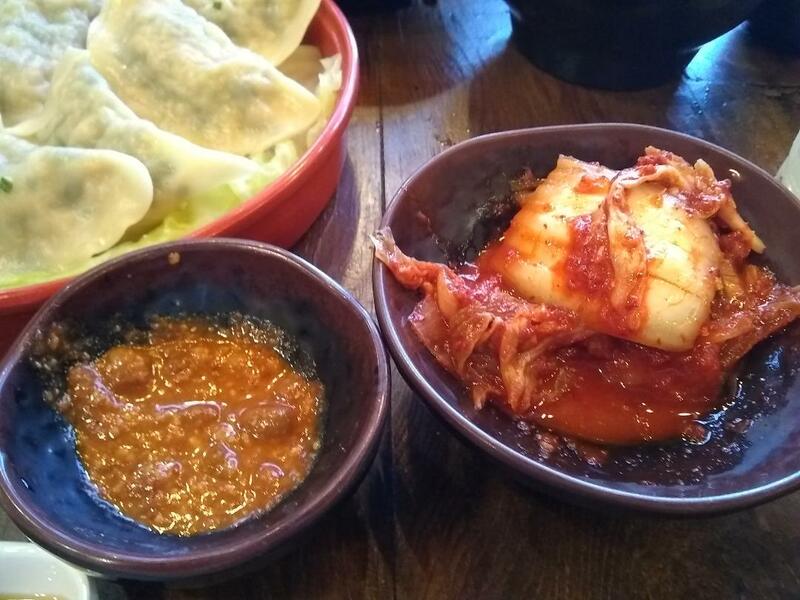 The bachan here is simple but yet one of freshiest – what it lacks in varieties, is more than made up with the perfect flavor that was not overly seasoned. I mixed all three of the kimchis into the little bowl of barley – so good! The milmyeong is just perfection for me. Chewy strands of noodles, mixed in a slightly spicy sauce with hips of sliced radishes, and a bit of julienne cucumbers and egg and a slice of meat. 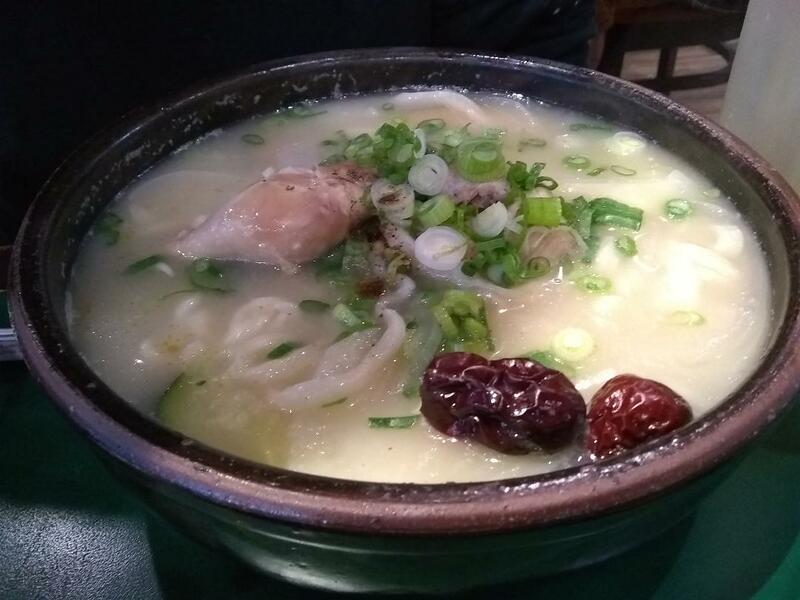 The Chicken Kalguksu, according to my son, is very good, especially on this chilly day. Though I did not try it myself, the abundance of squash and daikon inside was quite appealing to me. I would probably order a bigger bowl of barley to go with the kimchis the next time. 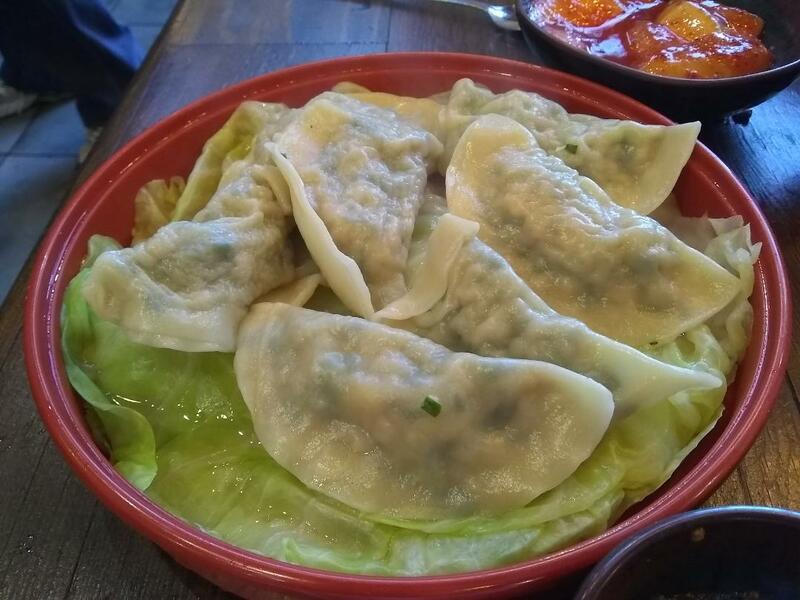 The dumplings, though decent, were probably the only thing that did not stand out for me.